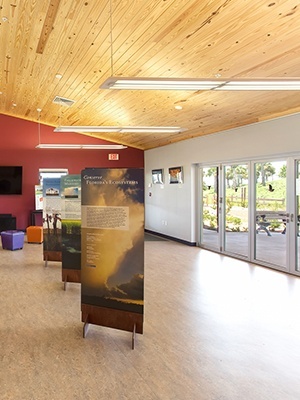 The Sarasota Audubon Society (SAS) is the local branch of The National Audubon Society (Audubon), a non-profit environmental organization dedicated to conservation. 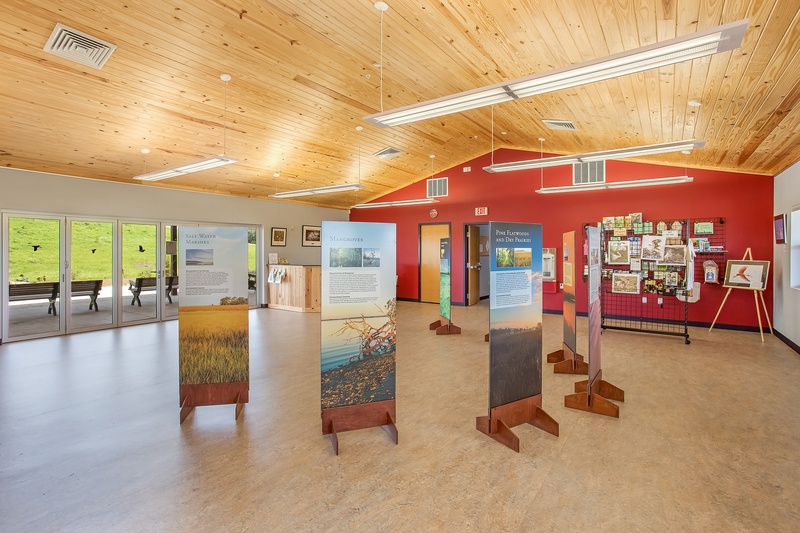 The key purpose of the Sarasota Audubon Nature Center is to link our community to the land and its natural treasures. 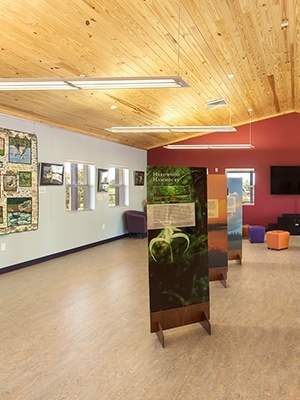 Audubon Nature Center is the next generation of Green Building Design. 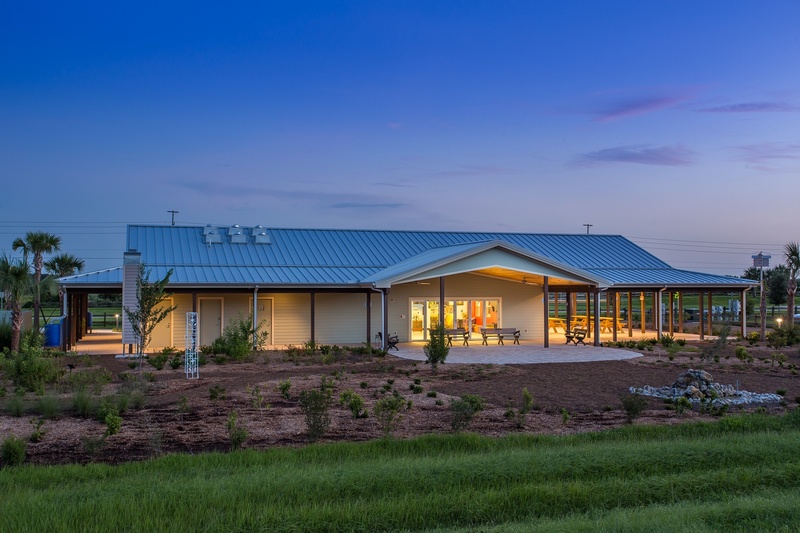 Since its opening in the fall of 2015, it has been performing as a Net Zero Energy building. 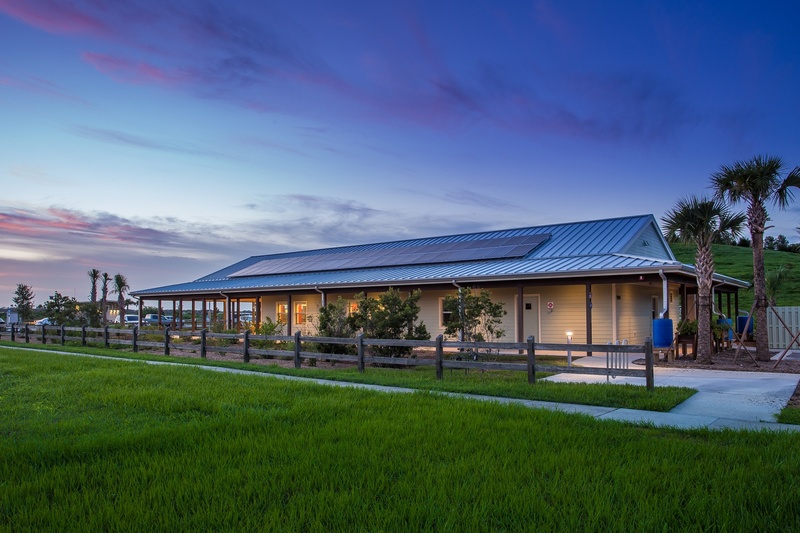 The building is designed as a secondary, non-focal shelter/initiation point for learning about the birds and wildlife within the surrounding 360+ acres of the Celery Fields ecosystems. 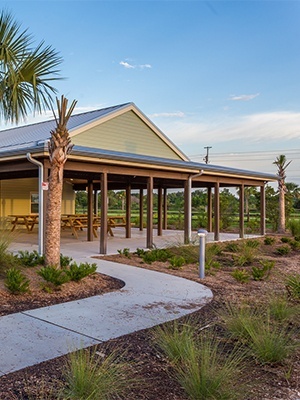 A large wrap around porch expands on the west end to serve as an outdoor classroom space. An indoor lecture room with vaulted wood ceiling, holding up to 40 people, is used for classes, meetings and various functions. 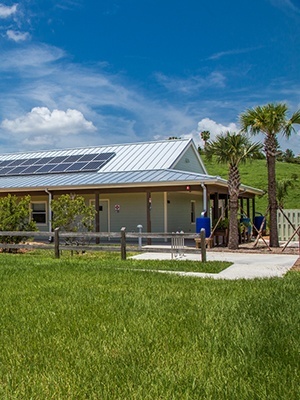 The building has the feel of an Old Florida rural home with clapboard siding, tin roof, and the wide shaded porch completely surrounding the facility, inviting visitors to relax and soak in the nature surrounding them. The soft-spoken building provides a platform for achieving harmony relating to nature’s diversity. 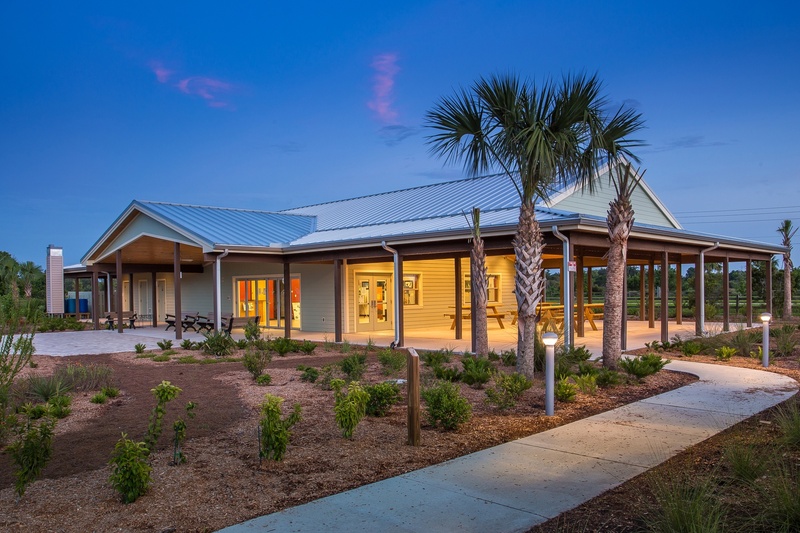 The project achieved LEED-NC Gold certification through the USGBC. The project team was made up by Carlson Studio Architecture, mechanical, electrical, and plumbing engineer – Quest Design Group, the structural engineer - Hees & Associates, the commissioning agent - ESC LLC, the general contractor - Willis A Smith Construction, Inc., and the solar energy system designer - Brilliant Harvest, LLC. 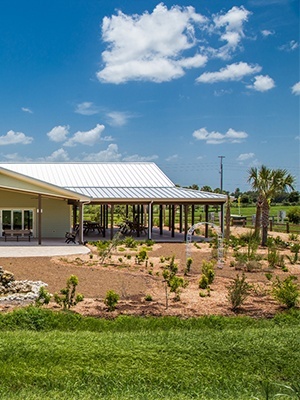 The building is situated on the public access edge of the acreage to minimize any disturbance to the fragile ecosystems of the preserve and encourage the birds and wildlife to come as close as possible to the Center. 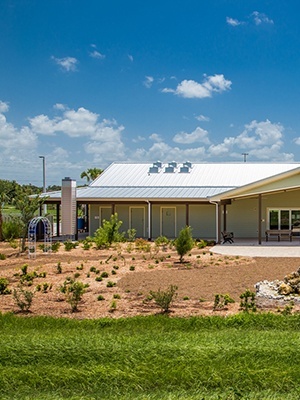 The exterior building envelope is Insulated Concrete Forms (ICFs) with insulted, low-e windows. 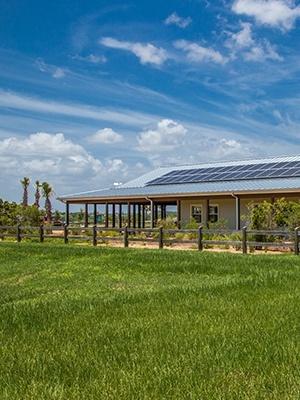 Solar panels are used to provide more onsite energy than the building consumes. Exterior lighting is carefully controlled so as not to disturb the natural circadian patterns of the wildlife. 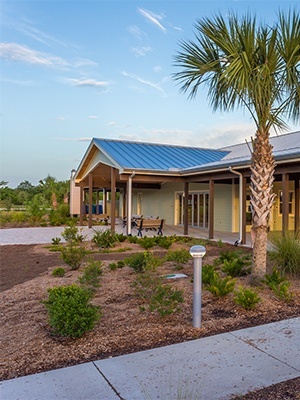 A bird and butterfly garden will be surrounding the building on three sides and a bio swale is near the parking, contributing to water quality on the site.